Applications for the 2019 the National Student Financial Aid Scheme (Nsfas) will open in early September. 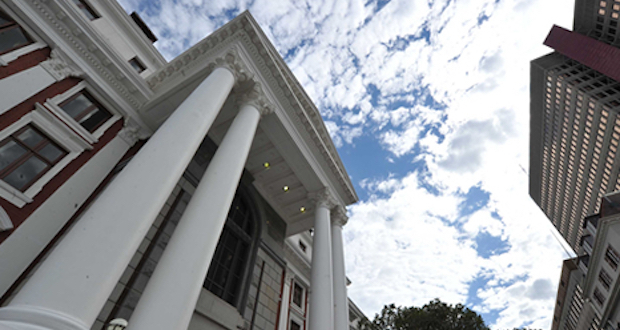 This was confirmed by the department of higher education and training (DHET) on Thursday after it, together with Nsfas, briefed parliamentâ€™s higher education and training portfolio committee. DHET also said a new student funding policy will be released for public comment by the end of October. Nsfas has been sinking. In the past couple of weeks its chairperson Sizwe Nxasana announced his resignation. Higher Education Minister Naledi Pandor had said 2019 Nsfas applications would be closed until further notice and students have been protesting for their allowances. Hereâ€™s the top takeaways from Thursday. The backlog at Nsfas is significant. The scheme still hasn’t finalised all payments for 2017 and payments for 2018 arere also lagging behind. However, most students benefiting from the scheme had been paid. Funding has never been an issue for Nsfas, the deputy director general for universities at the DHET Diane Parker said. Itâ€™s the admin. Nsfas chief executive Steven Zwane said the scheme had received around 800,000 applications for 2018 with 498,000 students eligible for funding as of August 15. In his briefing, Zwane said 254,154 new students received funding and 224,426 others were returning students. Also, Zwane said 254,103 bursary contracts were generated for the qualifying students with only 188,790 already signed. But 65,313 students have not yet signed their bursary agreements. Most of the students who had not yet signed are at technical and vocational and training (TVET) colleges. While there are 24,736 unsigned contracts at universities, 40,577 have not signed in TVET colleges. But Zwane said a total of 263,916 TVET students received funding for 2017 and students have signed 97% of contracts. Nsfas is following up and knows how to solve these issues, he said. Zwane said among the funded students, 286,105 were at universities and 192,475 in TVET colleges. TVETS with the highest number of unsigned contracts closing 2017 include: Cape Peninsula University of Technology, University of the Western Cape, University of Fort Hare, University of South Africa and Central University Technikon. Zwane said the scheme was â€œchronically understaffedâ€ last year which meant it could not deal with applications adequately. He also said thereâ€™s an IT system problem and a “data quality issues” problem – like approving Nsfas loans for academically non-deserving students. But the biggest problem was the decision to adopt a new system, taken at the Higher Education Summit in December. The threshold increase for free education from R 120,000 to R350,000 was cited as a problem. South African Union of Students President Misheck Mugabe said at the briefing that “there is a looming national protest” against Nsfas at universities nationwide. SAUS added pressure to DHET to open Nsfas 2019 applications (which it later did) so that students know by November if they have funding. Both Mugabe and South African Further Education and Training Student Association president Yonke Twani called for the decentralisation of Nsfas and better communication with students and institutions. They said the scheme must consider using municipal offices as they want the entity decentralised. SAUS also said the #NSFAS call centre must be a toll-free number. Both Mugabe and Twani said students were not satisfied with the customer service they receive from Nsfas.